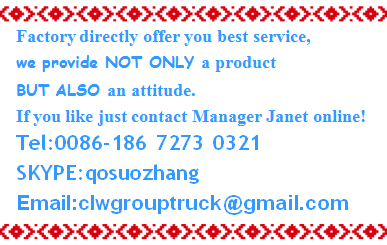 The vehicle is suitable for transporting dangerous goods. 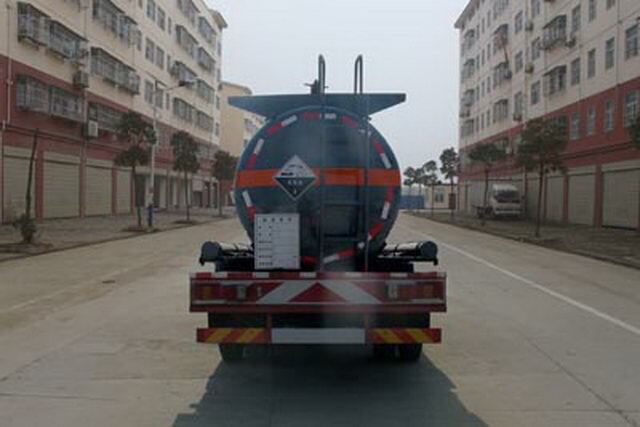 Transport medium name:sodium hypochlorite,Liquid,Hydrogen acid,sulphuric acid,ammonia,Density respectively:1050Kg/Cubic metre,1040Kg/Cubic metre,1047Kg/Cubic metre,1045Kg/Cubic metre,990Kg/Cubic metre;Item No. 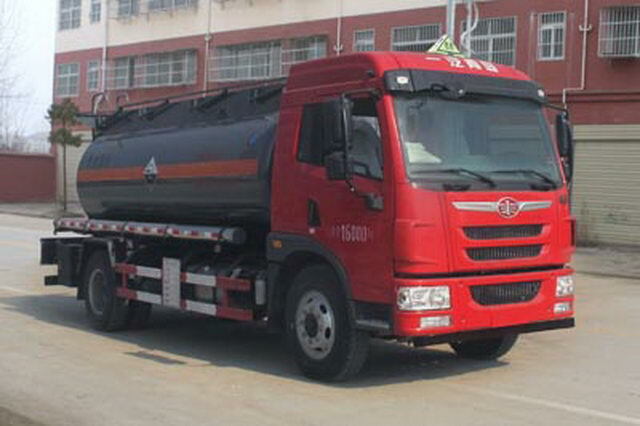 :8;Effective volume of tank:8.8Cubic metre,Tank size(Length * diameter)(mm):5200*1600. Chassis with optional flat cab. 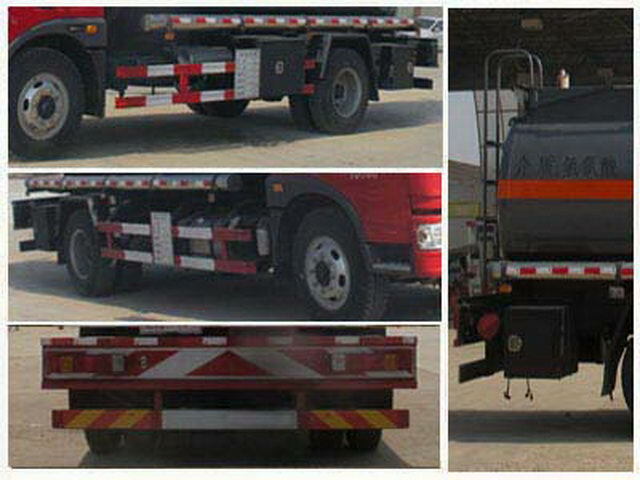 Protective material:Q235Acarbon steel,Connection mode:The left and right side and rear protection are welded connection,Rear protective section ruler(mm):140*50, Rear protection height(mm):450. Only use chassis radial tires and beltsABSChassis.,The front wheel of the vehicle is fitted with a disc brake,Front exhaust pipe,Assembling speed limiting device,Speed limit80km/h. Vehicle traveling data recorder with satellite positioning function.ABSManufacturer/Model:Shanghai Wan Jie Automotive Control System Co., Ltd./VIE ABS-II. 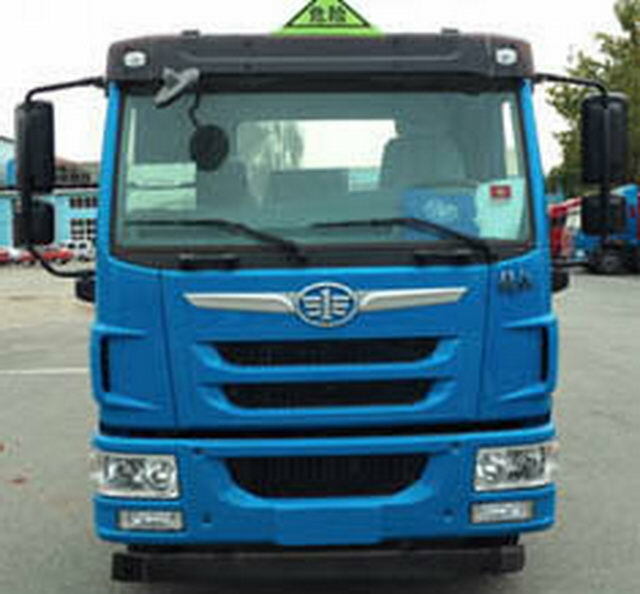 Only chooseBF4M2012-16E5,BF6M2012-18E5,CA6DLD-22E5Model engine,Corresponding fuel consumption value(L/100km)Respectively as:26.1,26.5,26.4. Other: Optional high roof cab.Optional dome.Engine net power:BF4M2012-16E5(110kw),BF6M2012-18E5(136kw).BF6M2012-22E51(162kw),CA6DLD-22E5(162kw).ABSManufacturer/Model:Shanghai Wan Jie Automotive Control System Co., Ltd./VIE ABS-II.Traveling data recorder with satellite positioning function.LFNAFRKHX x x x x x x x x x x xBF6M2012-18E5,LFNAFRLHX x x x x x x x x x x xBF6M2012-22E51,CA6DLD-22E5,LFNAFRJHX x x x x x x x x x x xBF4M2012-16E5.The optional front exhaust muffler,Optional front disc brake.The optional speed limiting device,Speed limit80km/h.EngineBF4M2012-16E5,BF6M2012-18E5,CA6DLD-22E5Only used as a transport vehicle for dangerous goods.BF6M2012-22E51The engine is used only as a non hazardous chemical vehicle..